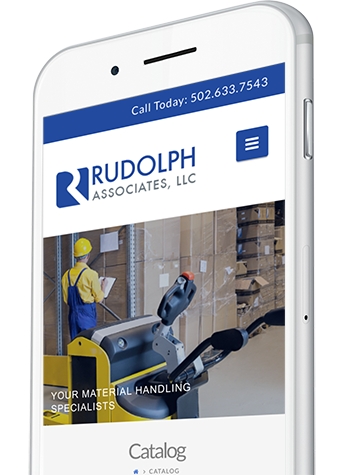 Rudolph Associates specializes in the sale, installation, and servicing of a wide range of material handling systems and equipment, including conveyor systems, storage systems, mezzanines, dock door equipment, workstation cranes and hoists and more. Rudolph Associates contracted with SimpleLogic for a complete redesign of their marketing strategy which included their logo and website. They wanted their website to offer their customers a clean interface and most importantly access to their products and an online catalog. They also needed to improve their exposure in the search engines. 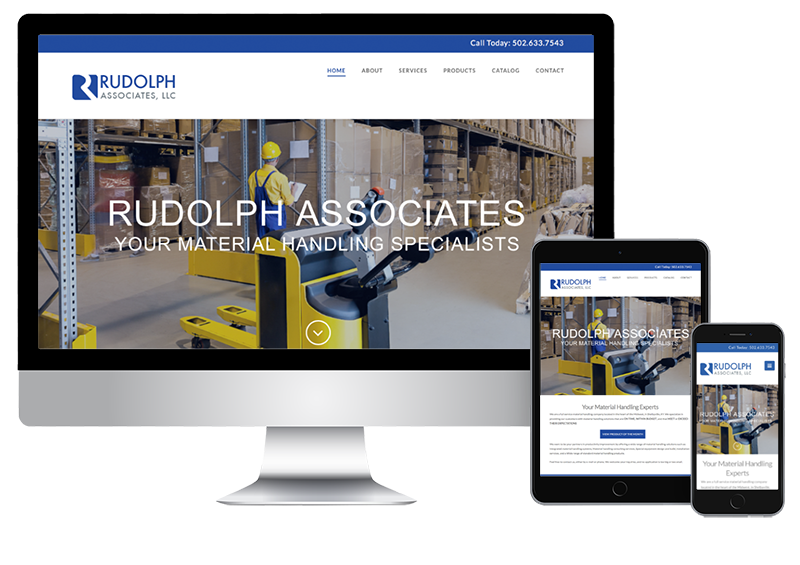 Rudolph Associates website was developed in a responsive design to automatically detect the size of the users screen to correctly size the main navigation, images and content an any device. Rudolph Associates brand was revitalized with a logo to reflect a more corporate, legitimate and secure company. The new logo is being used in all of their marketing communications including the website. 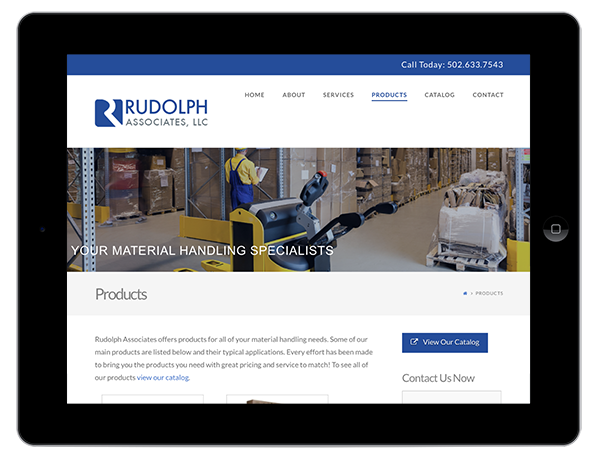 The site was integrated into a Content Management System which allows Rudolph Associates to make modifications to the site to themselves such as the monthly specials section they use to feature new products. Rudolph Associates has rebranded all of their marketing communication and has received a lot of positive feedback from their clients and vendors on the direction of their new brand. Since the website’s launch, a search engine optimization and Google AdWords campaign soon followed and Rudolf found their listings in the first page of Google’s search results within a few months. Phone calls and emails have generated from the campaign have increased more than 3 times what they had experienced from the previous website.